In this video several project partners explain how the project was set up, what the expected results are and what their role is in the project. The aim of LLJ is ultimately to introduce a new generation of implants to the market as soon as possible after completion of the project. For LLJ implants to pass smoothly from research to product development, the regulatory framework for medical devices has to be considered. Therefore one of the first deliverables of the project is a Regulatory Plan to guide all partners in how to meet the regulations. How does the EU Regulatory Background work? The European Union provides a very clear set of regulations governing the legal sale and distribution of medical devices. Every medical device sold in the EU has to pass a so called Conformity Assessment Procedure in order to receive a CE mark and be approved for use and sales in the European Union. This procedure is designed to ensure that the medical device fulfils all relevant provisions of the applicable EU-directives and its national implementations, especially in relation to health protection and safety of patients. Implants are classified as Class III devices, implying that the manufacturer shall follow the procedure relating to the EC declaration of conformity set out in Annex II of the Medical Device Directive (MDD). The basic Regulatory Requirements listed in the MDD also include Laboratory Practices and Quality Management according to EN ISO 13485. Based on this procedure, the competent authorities may formally certify the conformity of the medical device and thus approve its use and sales. The LLJ project has completed the Regulatory Plan as basis for the EU Regulatory Regulations and will compile as far a necessary a technical file for the coating and the correlated processes. A key element of this plan is a list of tests that need to be carried out and partner responsibility assigned. Progress in testing towards meeting Regulatory Requirements will be reviewed every six months throughout the lifetime of the LLJ project. 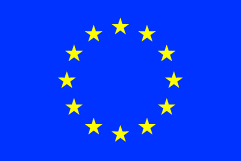 The Medical Devices Directive is currently under review by the European Parliament. Further information can be found on the European Commission’s Public Health website on Medical Devices. This recording of a webcast details the method employed to investigate the contribution of patient-specific motion patterns to edge-loading risk in patients with metal-on-metal hip resurfacing arthroplasty. Fifteen subjects were recruited for motion analysis. The musculoskeletal model used a three-stage procedure. First, the patient specific joint kinematics were estimated based on a stick-figure model constructed from the standing reference frame and the estimated hip joint centres The Twente lower extremity model (TLEM) was nonlinearly morphed using radial basis functions to match the segment lengths and joint parameters of the stick-figure model. Inverse dynamic analysis was performed for the morphed TLEM model with the measured ground reaction forces as external loads and polynomial muscle recruitment criterion of power 3 to estimate muscle and joint contact forces. The distance of the hip contact force from the edge of the acetabular component during gait and sit-to-stand was used to estimate the edge-loading risk.